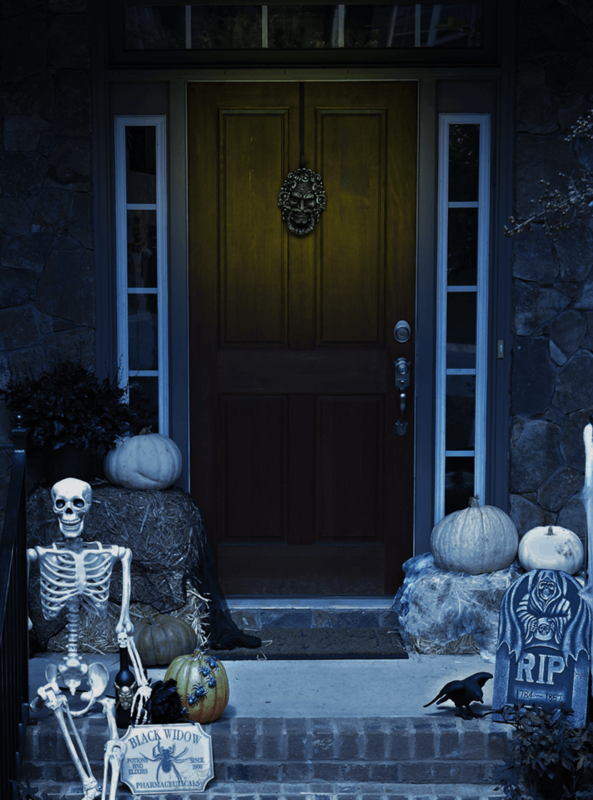 Halloween Door Decor: Cute or Creepy? If I’m being honest… I’m just not sure about Halloween. Don’t get me wrong - I enjoy any occasion to party, especially if that party involves candy. I even love dressing my kids up in costume. It’s the spookiness that I just don’t love. Blood, and gore, and slime, oh my! Cute or Creepy, I have the Halloween door decor that will suit your preference. You decide and either way, Harris Teeter has you covered. Not just for party foods and trick-or-treating candy either. You can deck all of your halls in Halloween attire with seasonal decor from your local Harris Teeter! 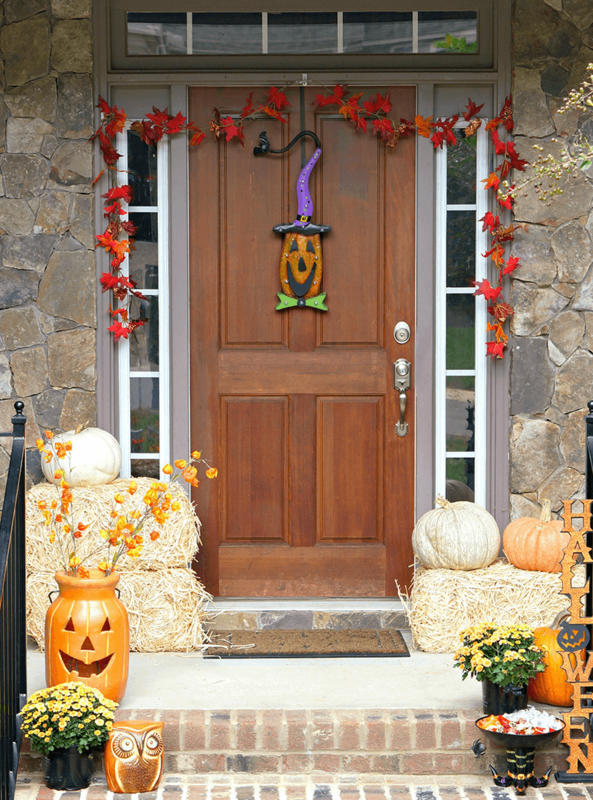 Looking for a classic and cute fall-themed entrance to your home? This look is easy to put together. A few bales of hay give height and dimension. From there, add the pumpkins! I don’t turn them over to the kids to carve until the night before Halloween, that way they don’t rot before the big event! Live mums add a classic touch and fall branches from the floral department add an extra layer of color. Seasonal items from Harris Teeter complete the look. The pumpkin door hanger, ceramic jack-o-lantern vase, adorable ceramic owl, witches feet candy bowl, and Halloween sign are all available in your store! Prefer a spookier greeting for your guests this Halloween? Harris Teeter is getting creepy with you! I used the hay bale trick again to give height to the door display and switched out the more colorful pumpkins with white ones for a “ghostly” look. Instead of brightly colored mums, dark green and purple potted plants accent the steps and provide contrast to the skeleton and spider webbing! The posable skeleton, tombstone, animated door knocker can all be found at Harris Teeter. That skeleton though.